You're gettin' a Dell! 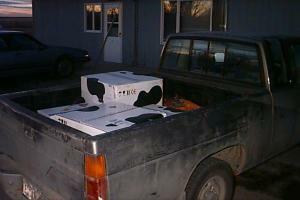 Ummm, wait a minute: Faux-cow boxes? I think it's a Gateway, dude..... Must be some kind of a consumer backlash at the loco-weed smokin' varmint on the commercials!